What, like exactly, is a backup?? Very Simple – A Backup is redundant copy of your important data files (pictures, documents, tax returns, movies, etc). That means you have a 2nd copy of your data files on something other than your computer. You keep a 2nd copy because if your computer hard drive fails, you get infected by a severe virus, or if your computer is lost or stolen, you have your information safely stored on another storage device, like an external hard drive! A lot of people use their external hard drive as primary storage, that means it is the only place they store their data files. While this might be useful in extending your hard drive capacity, it is NOT a back up because the external hard drive is a single point of failure – in other words, the data files are not on anything else. If you’ve got a laptop or a desktop that’s running out of space, by all means use your external hard drive as extended storage space to store some of the files and/or folders that would normally be on your computer. Just remember, you would need a backup of this hard drive. 3 key points on backing up with an external hard drive. Always test your backup. No Backup is a backup unless you test it! How do you test your backup? Easy, check and see how much data were you backing up, and then look and see how much data is on the backup drive?? They should be exactly the same! Unless you test your backup – it’s not a backup. The absolute worse time to see if your backups are good and up to date is when your computer fails.This is the worst time to go to your external hard drive and HOPE all the data files are there. Don’t hope, that is a very poor strategy. TEST your backups…. REGULARLY, look and see if it all there. We cannot emphasize this point enough.In this line of thought, avoid the temptation to “auto-magically” back up your drive. There are many programs out there that will automatically schedule your backup, so your backup happens in the wee hours of the night while you are asleep with out any interaction from you.While there is nothing wrong with this strategy, most people get lulled into a false sense of security and never check their back up. How do you know if the backup completed successfully?It is almost always best to back up on purpose. 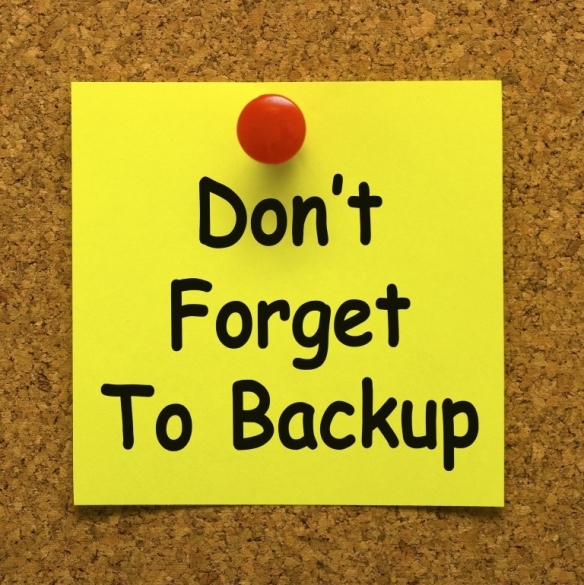 Start the backup – then go to bed, Check it in the morning to make sure it completed successfully. Disconnect external hard drive from your computer after backup. If the computer takes a voltage surge, gets hit with ransomware or another severe virus and your external hard drive is plugged into the USB port and/or the wall power outlet, most likely it will be damaged as well, and there goes your backup folks! Keep an offsite copy of your backup. Ok, so you faithfully follow rule 1 and rule 2. You need to hear this, you are not protected in the case of Fire, floods, theft, tornado… etc.If its critical data, say your accounting files, priceless family photos, etc. you may want to consider getting 2 drives and keep one in a safe deposit box, at the office or even at a family members home.When ever you feel it necessary, take you current backup drive, move it offsite and replace it with the 2nd drive you keep offsite.If you loose your office or house to fire, flood, tornado or other catastrophe, you will have a 2nd offsite copy of your data files. 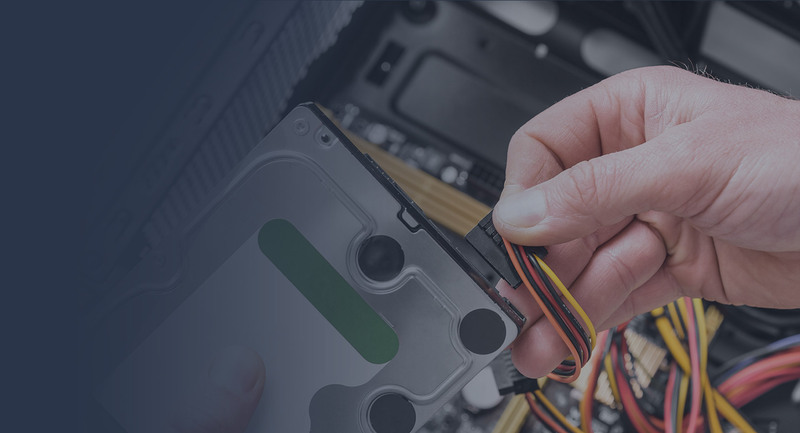 Depending on how often you swap out your drives, it may be a little outdated, but you will have all the data on it from the last time you backed up to it.At the Shop, we see people who have failing hard drives every day. We don’t ever want to see you have to pay someone to recover your data from your hard drive. Do yourself a huge favor and start backing up your irreplaceable data files – TODAY!!! Want to start backing up, but don’t know where to start or how to do it? Stop by or give us a call we will set up a inexpensive back up for you and show you how to use it. You will be surprised how easy it is to backup your PC, Android phone, iPhone, iPad, iMac… I don’t care which device you want to backup, we’ll set it up for you – and show you how to use it!